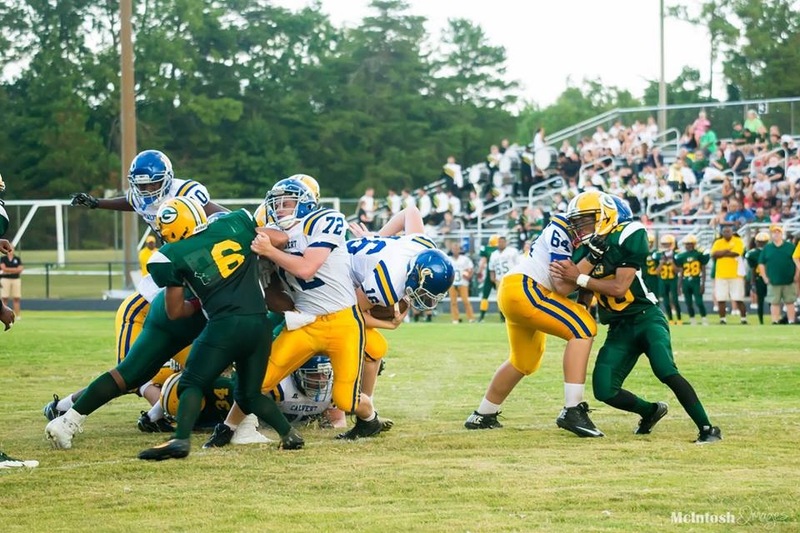 Calvert Cavaliers Football » Calvert Football is Back! Please try entering https://graph.facebook.com/314470952059295/photos?fields=source,link,name,images,album&limit=200 into your URL bar and seeing if the page loads. The 2014 season has quickly started and the program is continuing its successful climb into a high level of success. During the early parts of the football season both the Varsity and Junior Varsity teams have had positive experiences both on and off the field. The JV started the year off with a very decisive victory over Great Mills and the Varsity shared in a dominating performance against the La Plata Warriors. In the midst of a successful start to the year the program shared with the community in its first annual “Tackling Hunger” event. Calvert Football partnered with Calvert’s national honor society, Emmanuel Church and Farming 4 Hunger to serve fresh produce to over 100 families in our area. Stay tuned for all the details and images from this past summer and preseason in the upcoming weeks which will include a recap of our community service week, Shepherd camp, guest speaker Lee Rubin and Chris Herren.